As much as I truly enjoy Bloodbound, after two albums I've always thought of them as a band in search of itself. Their debut, 'Nosferatu' was pretty much straight up European power metal, no more no less. It was good and I liked it, but nothing extra special. Then came 'Book Of The Dead' with the versatile Michael Bormann on vocals. This work was more melodic heavy metal than power metal. However, it was reduced to parody as Bloodbound, on nearly every song, sang about Old Scratch himself; the music was great, but the subject matter became tiring. With Urban Breed (Tad Morose, Pyramaze) back on lead vocals, it seems that Bloodbound has worked hard on the vocal arrangements; they're meticulous and extravagant on 'Master of My Dreams,' 'Dominion 5,' and the powerful semi-ballad 'Night Touches You.' Another key component of 'Tabula Rasa' is the solid work from the rhythm section, especially the bass work, as found on 'Tabula Rasa Pt II' and 'Twisted Kind Of Fate.' A definite mention should be made of 'The Crying Kitten' (bonus track) where Bloodbound brings an excellent instrumental piece that ventures more towards progressive metal. It may be sleeper hit on the whole work. With these good words, the only stumbles came when Bloodbound delivered the average power metal. Both 'Plague Doctor' and 'Twisted Kind of Fate' are standard fare; yet both are made entertaining by the excellent rhythm section work and the fiery guitar solos. 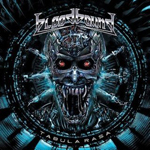 With 'Tabula Rasa' Bloodbound, a band we all knew had enormous potential, has finally come into its own. This work finds the band at their creative best and finally solidifying their style. 'Tabula Rasa' is their finest work to date. Highly recommended! With 'Tabula Rasa' Bloodbound, a band we all knew had enormous potential, has finally come into its own. This work finds the band at their creative best and finally solidifying their style. 'Tabula Rasa' is their finest work to date.